Home » Football » Analysis: Who are the top Premier League players in each region? When we discuss local footballing rivalries we usually focus on bragging rights between neighbouring clubs, but we were interested to find out which players can claim to be the best in their region. To do this, we split the UK into regions and ranked every player to have featured regularly in the Premier League over the last decade in two ways. Firstly, how often did their team win with them in the starting XI, and secondly how frequently they found the back of the net. For both we set a bar of 30 Premier League starts – which is reasonable for a first-choice player over a single 38-match season – and for the goalscoring list we also excluded anyone with fewer than 10 Premier League goals to their name. Two yellow-garbed sides – Norwich and Watford – have represented the Eastern part of England in the Premier League over the past 10 years, with the Hornets’ stronger performances seeing their players dominate the rankings. Roberto Pereyra is the most successful Eastern player with a 37.2% win percentage, edging out several of his team-mates, but it’s a former Norwich forward who has the best strike-rate. 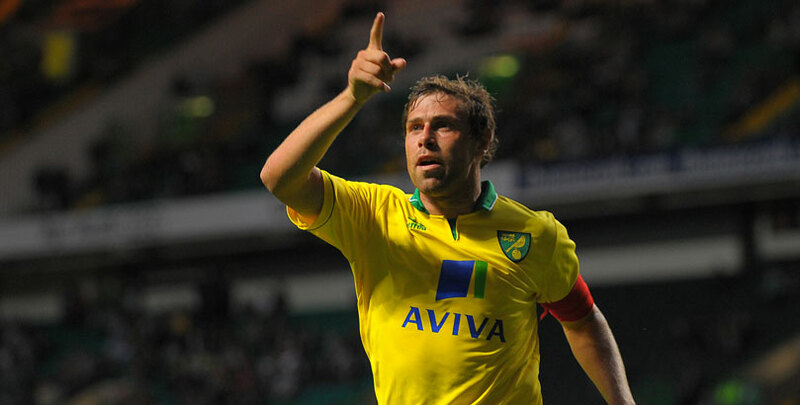 Grant Holt has hung up his boots now, but banged in 0.43 goals per game – roughly one every 209 minutes – for the Canaries. As Leicester have been the East Midlands’ sole representative in the top flight over the last decade, we’ve rolled the two Midlands regions together to give their players a bit of competition, although they still steal the show thanks to their famous title win. N’Golo Kante played a starring role as Claudio Ranieri’s side stunned the footballing world and stands out as the player with the highest win percentage for a Midlands club. His former team-mate Jamie Vardy’s goalscoring rate has been surpassed by two others, however: Steven Fletcher during his time at Wolves and Christian Benteke in his glory days at Aston Villa both saw the net bulge more frequently. With seven London clubs having graced the Premier League over the last decade, competition among its top players is fierce and the margins narrow. It’s a north London player who edges both contests, with Tottenham’s Moussa Sissoko enjoying the best win percentage and Arsenal legend Robin van Persie the most lethal goalscorer. The Dutchman is marginally ahead of Spurs and England’s leading man Harry Kane, although the younger striker may yet have the last word. 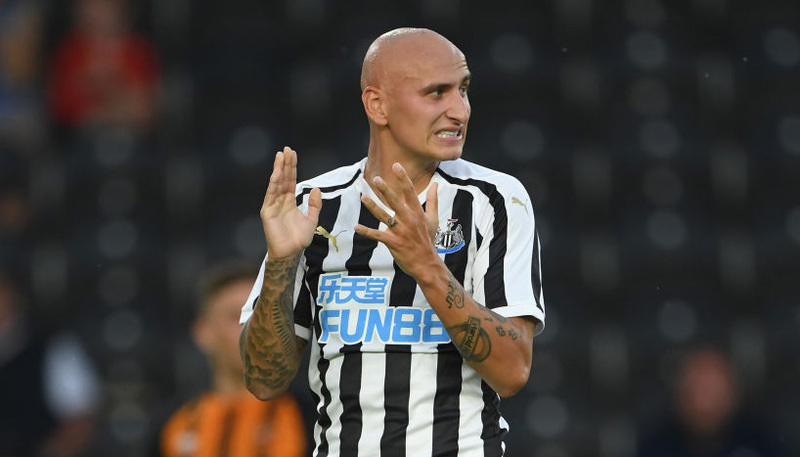 While Newcastle are the North East’s only current top-flight club, both Middlesbrough and Sunderland have competed in the Premier League during the last 10 years. However, it is the Magpies’ players who dominate here, with former star Yohan Cabaye involved in the greatest share of victories and his former team-mate Demba Ba the most prolific goalscorer. The North West of England has provided an impressive nine Premier League clubs over the last decade, but despite plenty of competition it’s the reigning champions who hog the limelight here. Manchester City pair Kyle Walker and Ederson have each been on the winning side in an incredible 83.7% of their Premier League starts, with team-mate Leroy Sane behind them in third place. The top goalscorer in the region is not Sergio Aguero, however, as the Argentinian superstar is pipped to that honour by Liverpool’s Mohamed Salah by a narrow margin. The only club technically in the South West of England (as the region is officially defined) are Bournemouth, but given their proximity to many of those from the South East we’ve combined these two regions. While his stay in the Premier League was relatively brief, Southampton’s Dutch midfielder Jordy Clasie is the South of England’s most successful player in terms of win percentage, ahead of former Saints team-mates Graziano Pelle and Sadio Mane. Brighton’s evergreen Glenn Murray is the most prolific goalscorer, having netted at a rate better than once every two games since signing for the Seagulls. While Cardiff are Wales’ sole representative in the Premier League at present, it’s recently-relegated Swansea who dominate the player rankings over the last 10 seasons. Jefferson Montero may not have been the most memorable name from the Swans’ stay in the top flight, but no other player saw his team win more often when he was in the starting XI. Despite his lacklustre return to the Liberty Stadium last term, Wilfried Bony remains the most prolific top-flight goalscorer from a Welsh club over this period thanks to his first two electrifying seasons in a Swansea shirt. Given Yorkshire’s impressive football heritage, it’s surprising that its only two Premier League teams over the past 10 seasons have been Huddersfield and Hull, although Leeds and Sheffield United are currently vying to change that. It is the Tigers’ players who top the rankings as it stands, with Abel Hernandez the most successful player in terms of win percentage and ex-striker Nikica Jelavic is in fact the only Yorkshire-based player with both 30 starts and 10 goals to his name in the Premier League during this period.